Accommodation at Awarakau Lodge on the Chatham Islands will impress you. The quality and comfort of the setting and the surroundings often surprises first-time guests. It’s also the reason why many come back. Awarakau Lodge has been designed to provide luxurious lodge-style accommodation in a family-friendly setting. The lodge is a quiet sanctuary in the midst of a busy farm. Although, the dining room is usually humming with conversation in the evenings- mostly centred around the delicious food and celebrating the activities of that day. Awarakau Lodge can cater for couples, families or groups of up to 8 people, in a choice of Queen or Twin rooms, all with their own ensuite bathrooms. Accommodation at the Lodge includes complimentary continental breakfasts, access to a comfortable guest lounge with Sky T.V and tea and coffee making facilities. 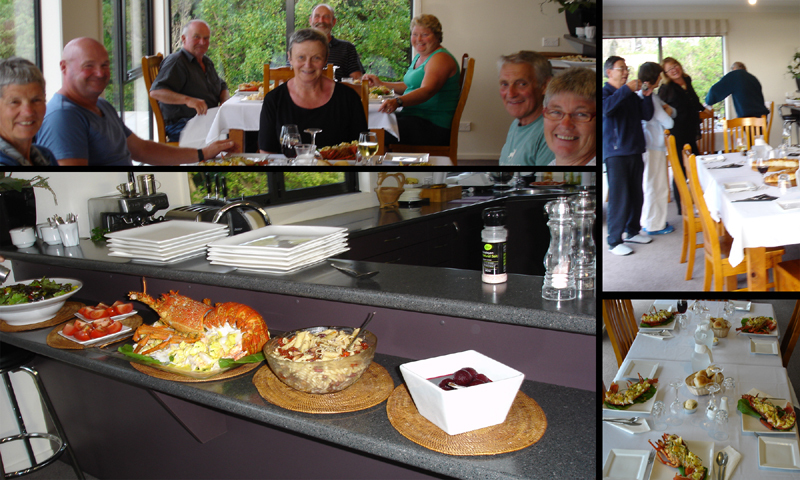 You are sure to love your stay at Awarakau Lodge as you experience the personalised service that Greg and Rosemary provide for each of their guests. Your accommodation has well-appointed rooms and spectacular views. Guests get to enjoy exquisite buffet meals and the guided commentary on the daily tours. Rosemary and Greg are the perfect hosts and make guests feel at home in the Lodge. They have an amazing amount of local knowledge to share with guests. The views from the lodge accommodation are delightful. Look across the immaculately manicured gardens and lawns to the ever-changing moods of the Pacific ocean. Stroll across the grounds to the foreshore and see for yourself the myriad of life in the rock pools. Catch a fish from the rocks, while watching the seabirds swoop and soar. It is no wonder that so many people choose to stay at Awarakau Lodge, again and again.